Emma's roadster is a 2005 2.0 model in gorgeous metallic Winning Blue. Having bought the car in January 2012, it wasn't long before the modifications began. Emma started by treating the car to a professional paint detail to really bring out the shine and also replaced the orange side repeaters with clear lens for a cleaner look. The car was then fitted with the 17" ten spoke alloy wheels from the Sport model and Eibach lowering springs, it was then taken to Roddison's garage in Sheffield to have the wheel alignment adjusted to a fast road specification. 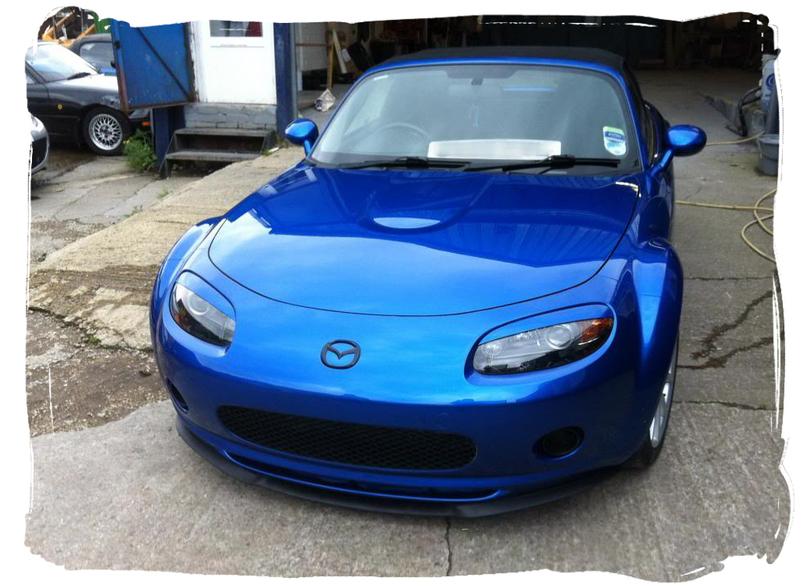 In July 2012 Emma took the car to Deepcar Autobodies in Sheffield for a front end makeover. The car's front bumper had the number plate mounting plinth removed and the holes filled in and smoothed. The number plate was relocated to the side using a custom bracket and IL Motorsport headlamp eyelids were added for an aggressive look. 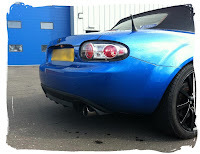 Mazda front and rear mudguards were also added. The front end was finished off with a Seat Leon Cupra R front splitter and black painted Mazda badge. The NC headlamps were also customised by removing the orange indicator lens piece and painting the inner plastic surround satin black. 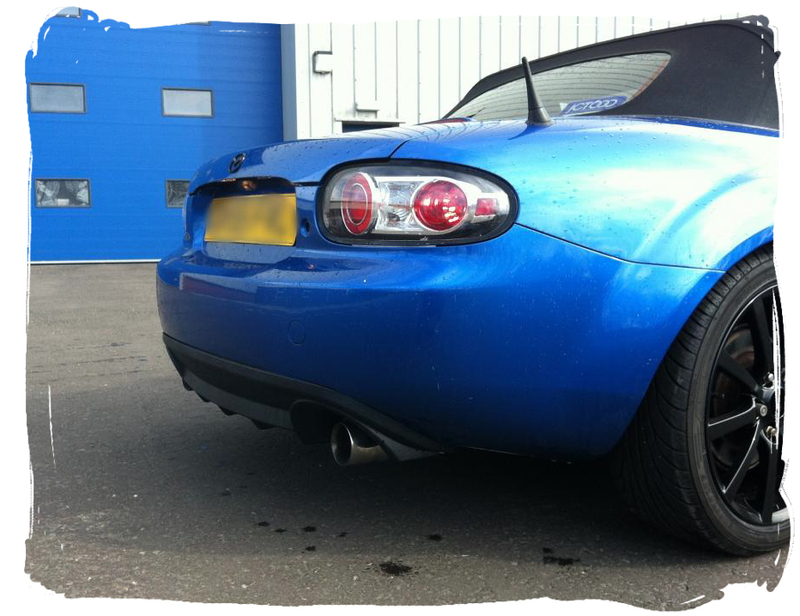 For the exhaust system, Emma chose a 4-1 stainless manifold from IL Motorsport and a custom stainless midpipe. The alloy wheels were given a refurbishment and the colour changed to a powder coated gloss black with a hint of sparkle in the finish that catches the light nicely. The brake calipers were highlighted in red paint and Emma has also added the optional NC2 rear diffuser trim piece, modifying it to fit the earlier rear bumper. The rear of the car also gets a Craven Speed stubby radio antenna. 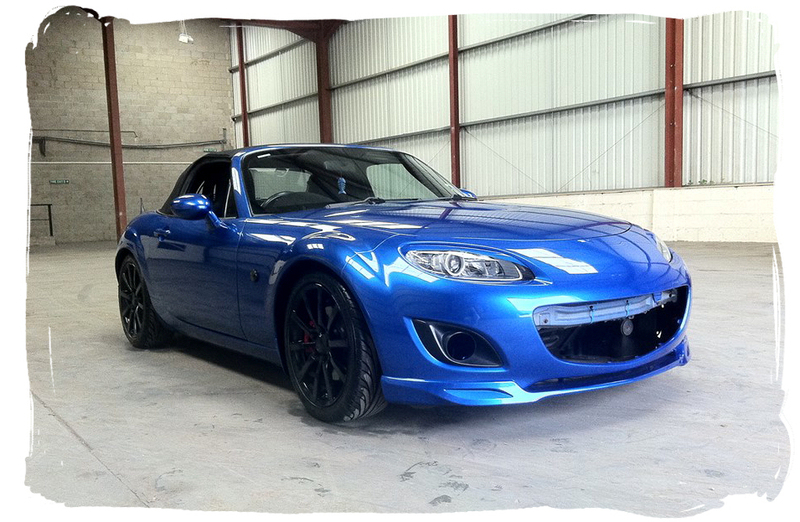 In August 2013, the car made a second trip to Sheffield for another front end makeover. 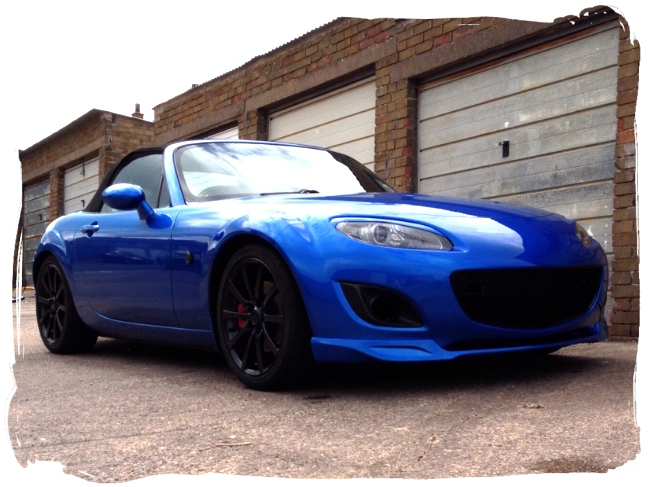 This time Emma wanted her roadster to have a complete facelift using parts from the NC2 model. 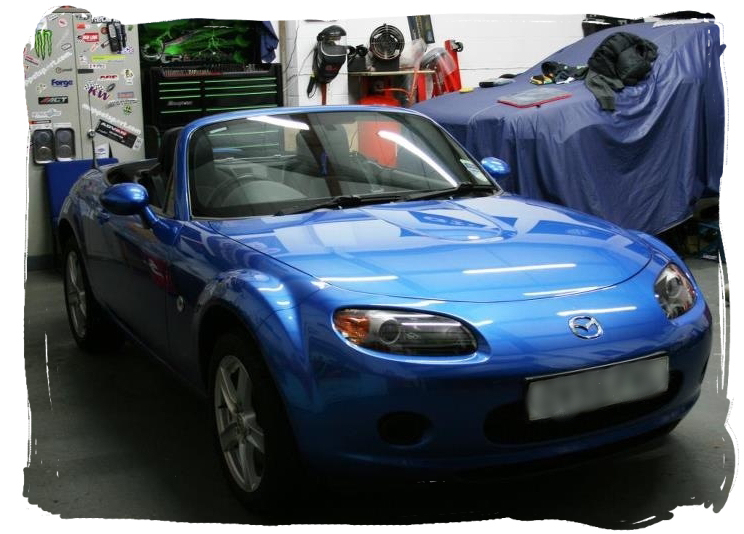 After sourcing the new design headlamps, IL Motorsport eyelids, front bumper, wheel arch trims, Sport Black front grille, and an NC2 appearance package front spoiler, Emma handed the car over to Dave at Deepcar Autobodies to work his magic. The results are fantastic and make for a very unique car as Winning Blue was not available on the NC2 model. Great work Emma!